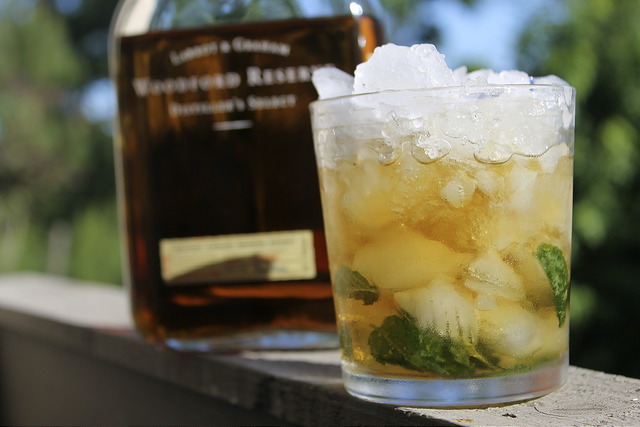 A mint *julep considered one of the most iconic cocktail in America is traditionally made with four ingredients: mint leaf, bourbon, sugar syrup, and crushed ice. 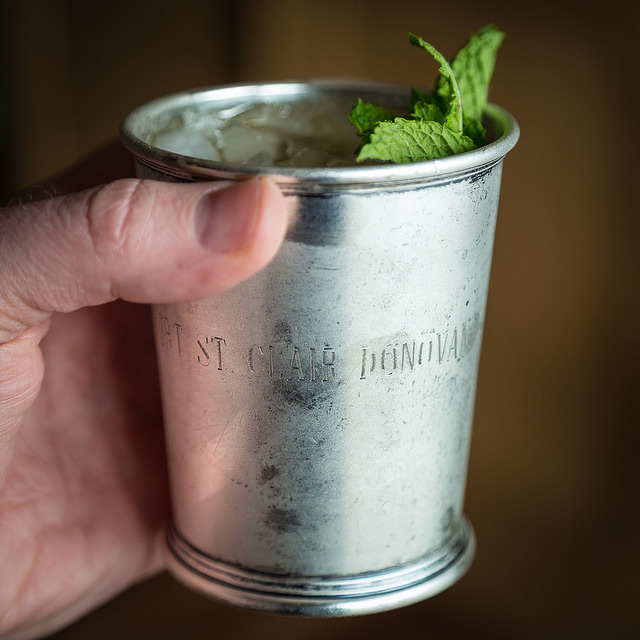 Mint Julep originated in the southern United States, probably during the eighteenth century and traditionally, mint juleps were often served in silver or pewter cups, and held only by the bottom and top edges of the cup. In a highball glass gently muddle the mint. Add Bourbon and and stir well until the glass is well frosted. Tip: Do no over muddle the mint as it will result in a overly bitter drink.